1. Install new windows. Did you know that when properly selected and installed, energy-efficient windows can help minimize your cooling, heating AND lighting costs? 2. Reduce the cooling load by employing cost-effective conservation measures. 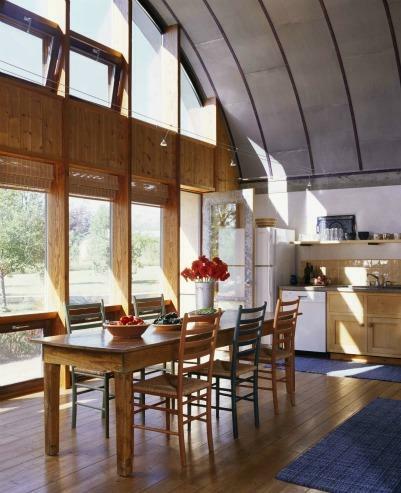 Provide effective shade for east and west windows. When possible, delay heat-generating activities such as dishwashing until evening on hot days. 3. Consider new siding, which provides greater insulation and can lower your cooling costs. 4. You could also consider Low-emissivity (low-e) window glazing, which can help control solar heat gain and loss in heating climates. 5. In hot climates, plant shade trees around the house. Hint: don’t plant trees on the South if you want to benefit from passive solar heating in the winter.